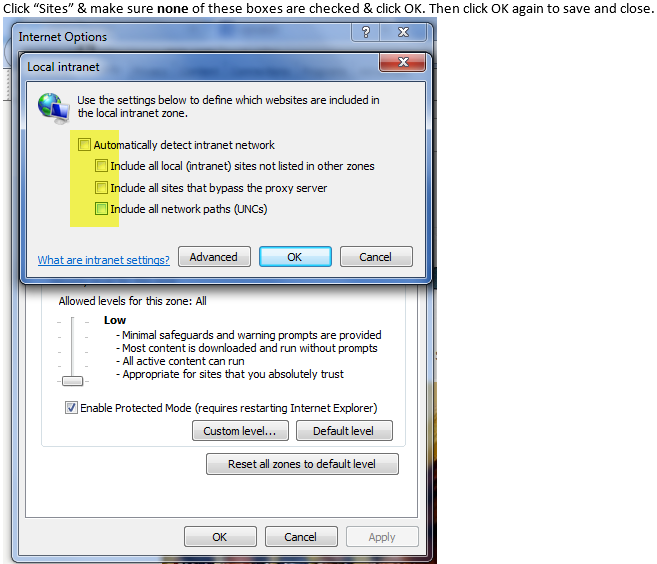 Is there a way that you can globally change the IE settings for users to not detect intranet sites? we are having an issue with some users that are using Internet explorer because, thinks our website is an intranet site and somehow changes the settings to a compatibility view. We have a fix for it but its only on individual computers. is there a way to create something to go to everyone and change there settings to exclude our website in intranet sites settings. We do not want to change the default browser or remove IE. some users prefer using IE over others. Expand Computer Configuration, expand Administrative Templates, expand Windows Components, expand Internet Explorer, and then expand Internet Control Panel. Click Security Page, right-click Intranet Sites: Include all local (intranet) sites not listed in other zones, and then click Properties. Right-click Turn on automatic detection of the intranet, and then click Properties.